While there have been numerous attempts to portray “the other side” of the classic Good Versus Evil story, few can claim they did it well. Triumph Studios’ Overlord is fun, but silly, and doesn't convey any of weight to your actions. Other games, such as Heavy Rain, put you on the ‘evil’ side without you realizing it. While the experience is meaningful, you do not engage with the understanding that your actions are morally wrong. Then there are games like Saint’s Row and GTA who incentivize evil actions, usually for the sake of humor. Tyranny is a game where you don’t play an evil mastermind, or one of his elite henchmen but a rank-and-file name in a continent-spanning military machine. Each choice you make is made under extreme duress from one source or another but have drastically different, yet always “bad,” results. Here there is no happy ending. You are set in the world of Terratus where the conquering overlord Kyros has all but claimed his victory of the continent. You play as an Adjudicator of Tunon, foremost of Kyros’ Archons, beings of immense magical power. Tunon, Archon of Justice is considered to be a manifestation of his law. It is your job to act as a mediator between two of Kryos’ armies. The Disfavored, an elite but tradition-bound group of soldiers who are led by the gruff Archon of War, Graven Ashe. Graven is a conqueror of a dozen campaigns, well seasoned and confident in his legion’s prowess. The Scarlet Chorus, a ragtag group of conscripts, murderers, rapists, and thieves, are herded by The Voices of Nerat, Archon of Secrets. He/She/It/They are an utter enigma, often speaking as more than one person at a time and referring to voices that are not currently present. It is a poor secret that the Voices can learn information from anyone by somehow devouring their soul. It is later revealed how several tragedies were personally caused the Voices of Nerat. Between these factions and others, later on, your decisions carry a lot of weight. Tyranny is littered with choices. Each interaction with an NPC can increase or decrease your reputation. I played as myself and allied with Graven Ashe and the Disfavored. Their adherence to martial honor and discipline is far more attractive than the insanity that is the Scarlet Chorus. This naturally led the Scarlet Chorus to dislike me, which in turn gained me favor with some locals despite the Chorus’ offer at redemption by serving the horde. The Disfavored usually kill prisoners rather than waste time with them, but that didn’t seem to affect the populace when I allied with them. A huge part of Tyranny is balancing, or destroying, relations with multiple factions. I especially enjoyed trolling the Bronze Brotherhood, a mercenary group, hired by the Scarlet Chorus, which also put me in good standing with the locals. How you deal with the NPC’s defines how the game reacts to your movements and Obsidian has gone to extreme lengths to make it feel like you do have an actual effect. 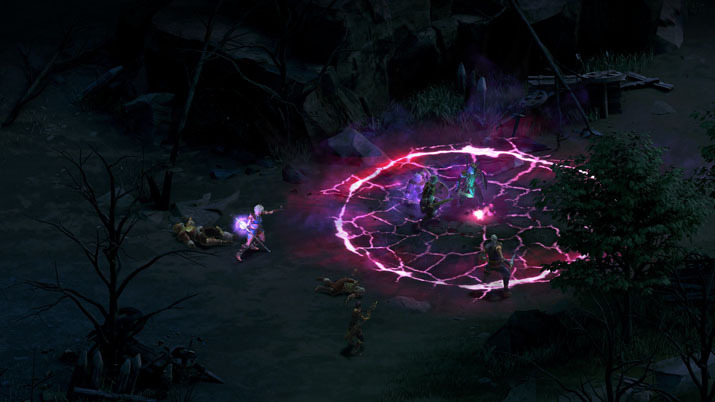 Tyranny’s combat mechanics builds on Obsidian’s first RPG, Pillars of Eternity. Both games take a refreshing approach to RPG’s with their non-linear classes and builds, and Tyranny expands on this even further. In Tyranny, classes don’t actually exist, but you could say archetypes of established classes do. There are dual-wielding rogues, spell-slinging sages and brawny towers of ironclad warriors. But that same rogue can cast healing spells on allies that are injured, and the warrior can run for cover and attack with a javelin or cast fireball at a safe distance. Each archetype has skill trees based around improving abilities, granting or improving skills, or granting passive effects. I built my character around a Roman Republic rank-and-file soldier, called "hastati." The hastati were lightly armored and unleashed a devastating barrage of javelins (pilum) from a distance right before the initial clash began. I was pleased to find out the strategy was viable and encouraged the use of other skills from other archetypes. Combat is quick and instead of the flashy, protracted fights PoE had, lasting for 10 minutes or more in real time, Tyranny’s battles are like its atmosphere: brutal and final with fights lasting no more than 5 minutes at the most. This is due in part to a smaller party size (4 instead of 6) and a better skill system. Abilities/skills you can use during combat have a cooldown instead of a number of uses per rest, which makes your casters more efficient, and thanks to a lack of classes any party member can cast spells. Having your frontline warrior cast healing spells on himself is incredibly handy. More powerful abilities have per encounter or per rest limitations but have extra damage or abilities making the trade-off worth it. I have read other reviews that cite the morally repugnant options you are given and label Tyranny as a dark, depressing game. While I agree that the atmosphere is dark and has a mournful quality to it, I do not get outright evil from any choice you are offered or event, with the notable exception of the Voices of Nerat. Perhaps the option to throw a prisoner off a mile high tower, or put an entire village and its inhabitants to the sword is morally repugnant. The fact that Tyranny offers that as a choice creates a deeper sense of immersion which gives the game an “evil” feel. I have an endearing love of story-intense games and treat them as though I were there. The option to throw a prisoner off a tower is always present but never seriously considered because that is not what I would do. I realize that to some this is a cardinal sin, the lack of ability to roleplay destroys the entire concept of RPGs, but it hasn’t bothered me yet so I don’t see a reason to stop playing like I’m actually there. I guess this is my long-winded way of saying that while the choices you are given in Tyranny have a darker aspect to them, those choices were always present, even if we are not willing to entertain them. Tyranny simply opens up the door that we had closed and forces us to see a series of possibilities we’d rather not acknowledge. 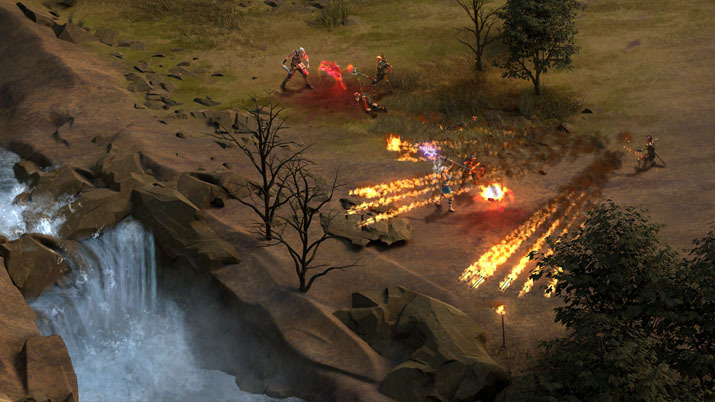 With an efficient combat system, robust and far-reaching interactions with NPC’s, Tyranny is a game not to be missed. The myriad of choices you have and the different ways that the game can be experienced lend a high level of replayability. The well-defined yet flexible character creation system allows you to experiment on the fly an remain effective. Best of all is how developed the cultures of Terratus are and how visible the differences between them are. Tyranny is able to captivate the player by presenting them with a world ripe for exploration. In conversation with Tunon, he says people will respect you by title of your station, but there will come a point where your actions will eclipse your title. What will your actions be?